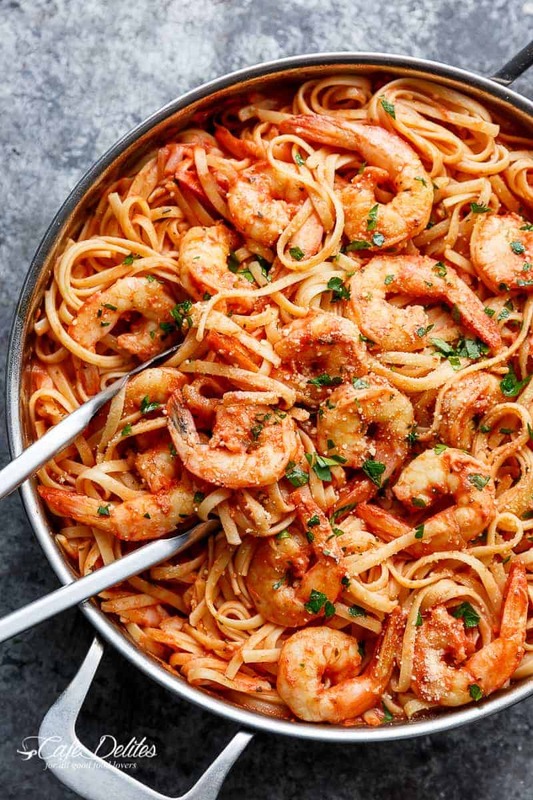 Linguini pasta gets a delicious make over with this 15-Minute Creamy Tomato Garlic Butter Shrimp! A quick and easy flavourful weeknight or weekend dinner that comes together in minutes! 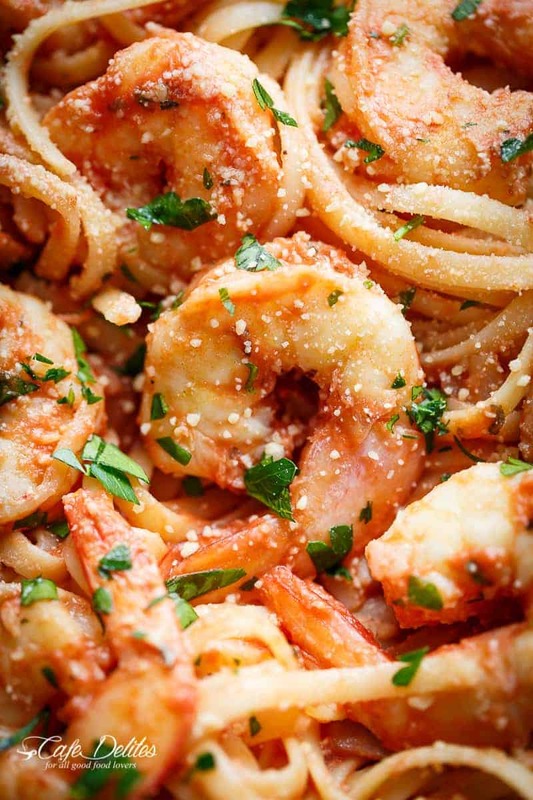 15-Minute Creamy Tomato Garlic Butter Shrimp… Only 15 minutes? 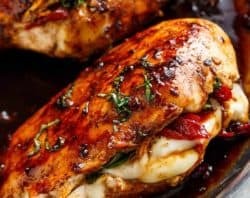 How much easier could a recipe get?! This is one favour packed shrimp! Even my super picky 7 year old loved this, which is saying A LOT. If you’re looking for a way to change up your pasta game — this is it. 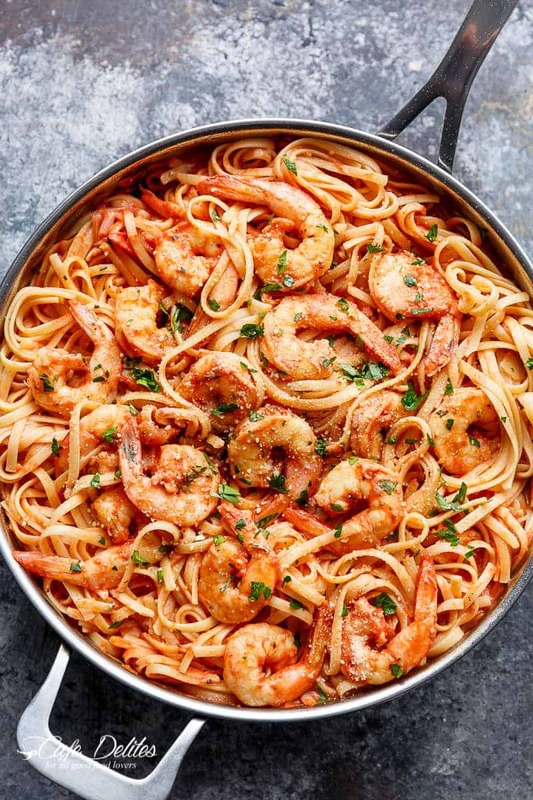 Shrimp first gets sautéed in buttery garlic and a hint of basil, before being smothered in a creamy marinara sauce (or passata for us over here), with linguini, fettuccine, or your pasta of choice mixed through with a generous amount of parmesan cheese. Good…huh? My house has become a crazy town. Videos flying left, right and centre. Children flying centre, right and left. Food flowing out of our ears. Daily supermarket runs happening in two’s or three’s because chemo brain equals colander brain (ie. many holes in it = thoughts drain out easily). And one pan meals, like these, saving my life. You would think with all of the food being cooked in here, we wouldn’t need to come up with dinners… BUUUHT there are enough of us here to start a soccer team. Or, that’s what it feels like with the noise reaching critical levels. All that chaos aside, I sat myself down last week with a glass of wine (may have been over-sized), and thoroughly enjoyed every creamy, tomato-ey, pasta/shrimp filled moment. 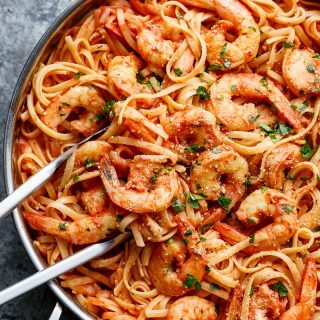 Linguini pasta gets a delicious make over with this 15-Minute Creamy Tomato Garlic Butter Shrimp! 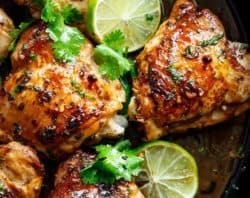 A quick and easy flavourful dinner in minutes! Heat the butter in a large skillet or pan over medium heat. Add the onion and fry until transparent. Stir in the garlic and fry until fragrant (about 30 seconds), then add in the shrimp with the basil and 1/2 teaspoon salt. Sauté shrimp for 2 minutes on one side; flip and continue to sauté on the other side for a further minute. Quickly add in the sauce, crushed bullion (or stock powder), parsley, pepper sugar and remaining salt. Allow the sauce to heat through for another minute before adding the milk (or cream). Continue cooking for a further minute or until the shrimp are cooked through. 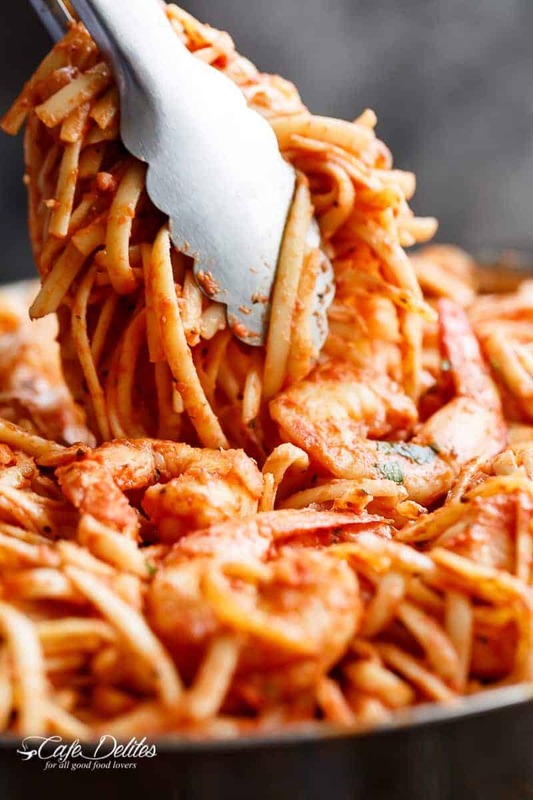 Once the pasta is cooked and drained, stir it through the creamy tomato sauce; toss until combined. Season with extra salt if desired. Trying this tonight! 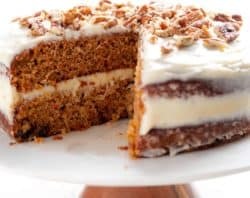 Has anyone made this recipe doubled? I’m having 6 people and the recipe says it serves 4. Or should I just add a little more of the ingredients as I go? Can I use thawed frozen prawns? Thank u so much. 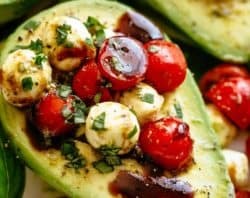 Great recipe ? 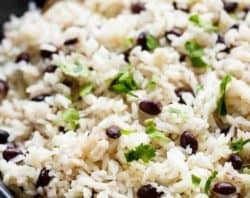 This recipe is one of the best recipes I’ve ever made! In fact, I love it so much that I made it twice this week, and plan to make it once a week from now on! Thank you Karina!! I wish I could give it a thousand stars! Hello! In the directions it doesn’t say when the divided black pepper is supposed to be added, or the pinch of sugar. I made this last night, and just added the pepper and sugar when I added the passata. I hope I did it right! Either way, it turned out to be amazing! Thank you so much! Yes you did! Thank you Danielle! I’m so glad it turned out! 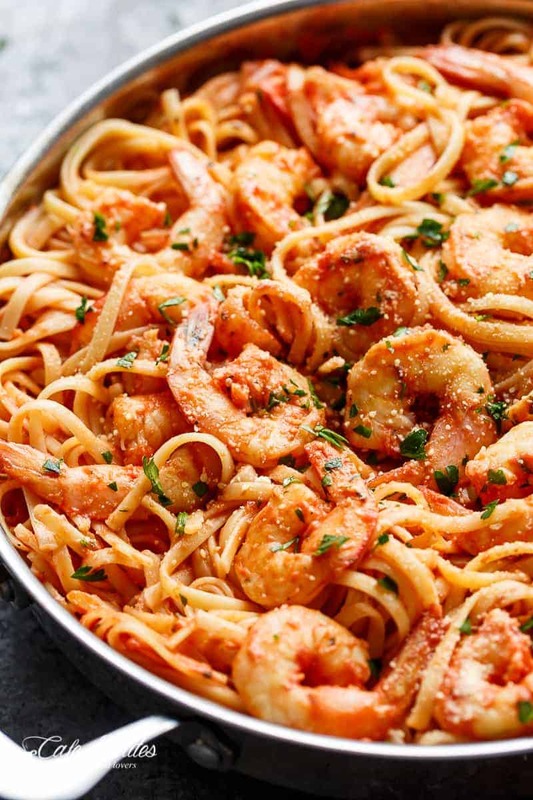 I made this delicious creamy tomato garlic butter shrimp . My family loved it! It was so easy and fast to make . Thank you !! I made this dish for dinner last night. OMG. Delicious. The hole family enjoyed it and wanted more. Thanks for the new and easy dish being added to our family dinner. Lol when people can’t read and criticise you for it. My mom went out and bought shrimp to make this for me since I’ve been wanting shrimp and pasta but didn’t know what flavor to make it in. Your email answered my prayers. 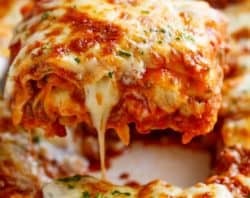 I’m in love with your recipes! Keep them coming please! You must get so frustrated with people who fail to read properly. I will rate this recipe appropriately because we made it for lunch and it was DELICIOUS! 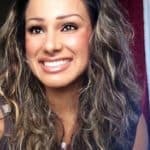 Easy to follow you never disappoint Karina dear. My favourite food site by far! You did not mention in the INGREDIENTS about creamy tomato sauce which will be used in the end. Hi. 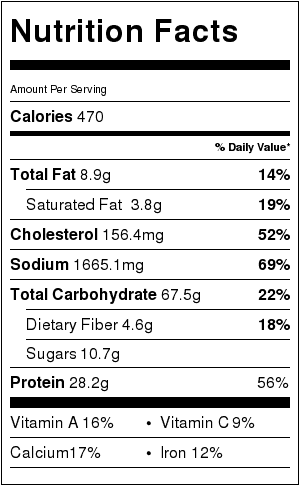 PLEASE re-read the ingredients list, numbers 8 and 13! These INGREDIENTS make up the creamy tomato sauce. In future, please make a recipe first before rating it! I was wondering if the prawns are supposed to be green (that is not already cooked) or are using already cooked prawns.